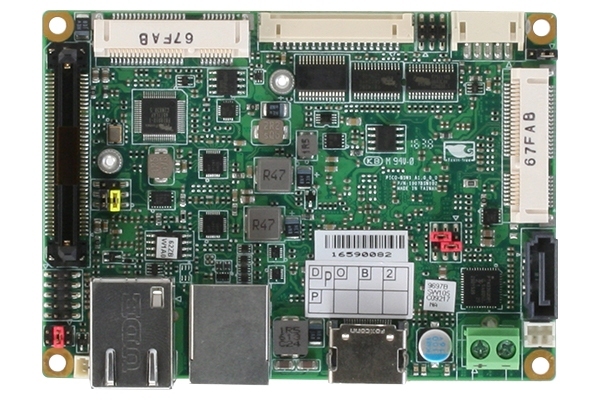 The MICROPAC series of Single Board Computers feature micro size with micro power consumption at a micro price. The MICROPAC 180 has dimensions of 5.375" by 3.625" with a power requirement of 60 mA typical and 90 mA with the upgrade option installed. The MICROPAC 180 is ideally suited for controller applications requiring an on board Liquid Crystal Display (LCD) and/or keypad interface circuitry. CPU: CMOS Z180/HD64180 with 12.288 MHz. standard crystal speed. DIGITAL I/O: 16 TTL level, programmable I/O lines, and 8 additional high drive (500 ma. sink not to exceed package dissipation of 2.25 Watts) outputs. The 24 I/O lines terminate to a standard 50 pin I/O rack header connector. ANALOG INPUTS: 8 channel, 10 bit (12 bits optional) Analog to Digital converter with a 390 microsecond conversion rate. ANALOG OUTPUTS: The optional Digital to Analog Converter has 4 channels with 12 bit resolution. TIMERS/COUNTERS: Two, 16 bit timers with interrupt support are included standard. A watchdog timer is also provided. COMMUNICATION: A total of 3 RS232 serial ports, 2 of which are standard and 1 of which is provided with purchase of the upgrade option. Conversion of COM1 from RS232 to RS422/485 is available optionally. 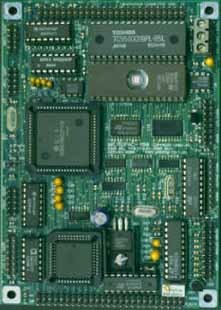 The MICROPAC 180 single board computer utilizes the Zilog Z180 microprocessor. This high integration processor features an enhanced Z80 instruction set that includes a fast multiply instruction, a memory management unit that supports 1 MB of memory, a DMA controller, and a interrupt controller that manages 12 interrupt sources. You can think of this processor as the next generation Z80. EMAC integrated this powerful processor onto a board that contains up to 3 serial RS232/485 ports, 24 digital I/O lines, EEPROM, LCD interface, keypad interface, 8 channels of A/D, and 4 channels of D/A. The MICROPAC 180 comes complete with an Z80 assembler on a PC compatible disk and a Monitor EPROM that allows you to upload HEX files. Also included is complete driver source code written in assembly language. If you do not desire to program it in assembler, an optional EPROM containing MTBASIC or Forth programming languages with high level drivers for all I/O can be purchased as well as third party C compilers. The MICROPAC 180 is ideal for low cost data acquisition and control applications that require a display and keypad entry. The 8 channels of A/D allow the board to be connected to temperature sensors, pressure sensors, strain gauges, and LVDTs. Conditioned signals from these sensors can be used to make decisions in controlling motors, lights, heaters, etc. Try this board in your application for 30 days risk free! CPU: CMOS Zilog Z180/HD64180 with 12.288 MHz. standard crystal speed. MEMORY: Memory space for up to 512K of EPROM/FLASH and up to 512K of RAM. Total memory capacity is 1 MB abyte with 32K of RAM included. When ordered in single quantities, the 180 development kit (64K ROM Monitor & Disk) is also included Free. In addition to the EPROM/RAM memory is a 1K bit serial EEPROM. The EEPROM is a nonvolatile memory organized into 64, 16 bit words with over 10,000 write cycles guaranteed and unlimited read cycles. 2x 16 bit Timers, Watchdog. INTERFACES: A Backlit LCD interface is provided, standard, with an optional 16 key, keypad interface available with purchase of the upgrade option. Also included is a 50 pin bus expansion header. The MICROPAC 180 has a power requirement of 60 mA typical and 90 mA with the upgrade option installed. OPERATING TEMPERATURE: 0 to 70 degrees Centigrade. Humidity range, without condensation, of 0% to 90% relative humidity.